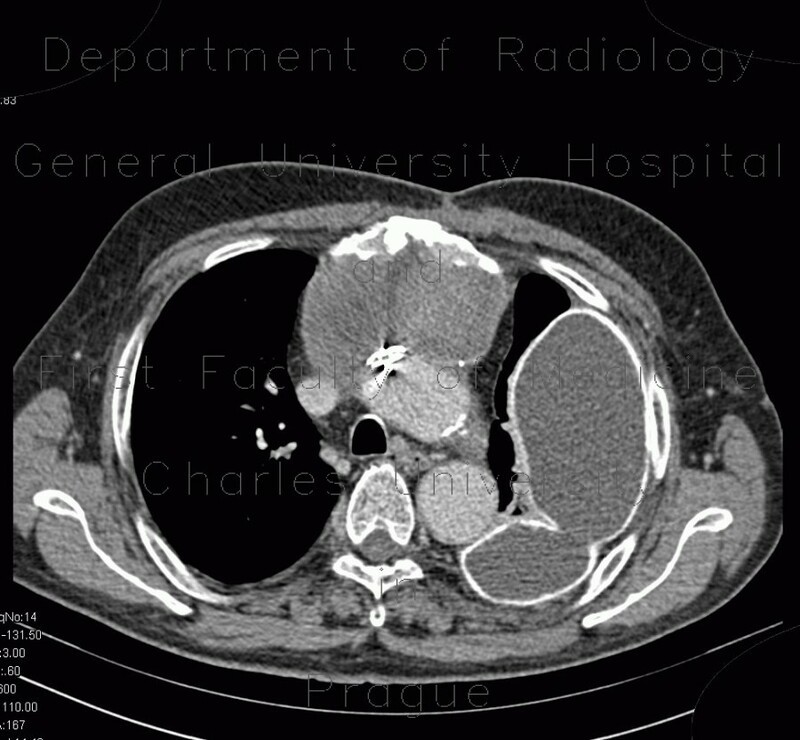 CT in a patient with replaced aortic valve and the ascending aorta shows a sac around the aortic prosthesis. The sac is partially perfused, partially thrombosed. There is a large collection of fluid in the left hemithorax. The collection has a thin dense wall and a layer of sediment in a gravity-dependent location.